Alcon’s Opti-Free Pure Moist contact lens solution offers a burst of moisture that refreshes your eyes and contacts lenses for all-day comfort! 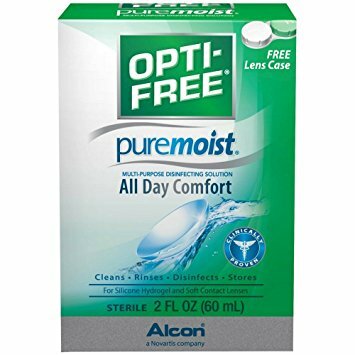 Opti-Free Pure Moist contact solution is formulated to best remove particles and protein deposit build-up that may cause irritation, dryness, blurring, and itchiness during contact lens wear. This is the appropriate solution for contact lens types like silicone hydrogel and soft (hydrophilic) contact lenses. Unlike saline solutions, which are only meant to rinse your lenses, Opti-Free Pure Moist solution cleans, disinfects, and rinses providing a three-in-one contact lens solution. 1. Wash your hands before handling your contact lenses. 2. Fill your contact lens case half-way with Opti-free solution and dip/submerge your lenses so that they are wet on both sides. 3. Pick each lens up one by one and rub them gently with your fingers for about 20 seconds. While holding one lens with your fingers, use your other hand to hold the solution and rinse. 4. Rinse each lens one by one with Opti-Free, making sure to not to drop the lens and ensuring the washed solution does not fall back into the lens case. 5. Place the lenses into your case based on orientation and give the solution at least 6 hours to thoroughly disinfect the lenses. Those with Silicone Hydrogel or soft (hydrophilic) contact lenses who want the #1 Doctors recommended solution for moisture and cleanliness. For use at home, on the go, or while travelling. This is the advised size for traveling at 2 oz. For a bigger size bottle and savings try our 10 oz available here. 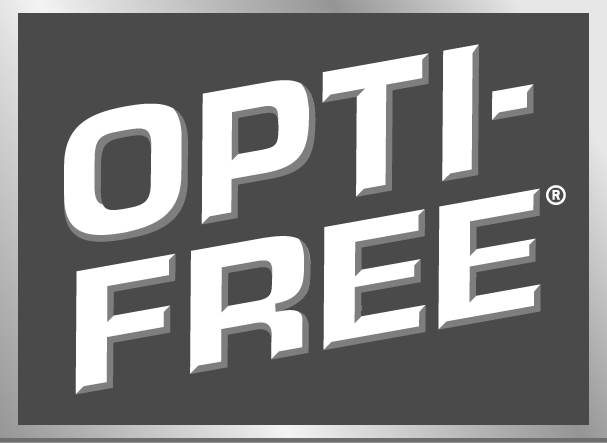 Opti-Free is the #1 doctor recommended contact solution brand on the market. HydraGlyde® Moisture Matrix provides a cushion of moisture around the lens that provides all-day comfort to the wearer. Opti-Free is the #1 recommended solutions due to its unparralled disinfection solution, which contains polyquad and aldox dual disinfectants that are proven to reduce harmful microorganisms on the lens, reducing the risk of eye infections. We give 5 stars for the #1 recommended contact solution!